Neck pain can be annoying, uncomfortable, or downright excruciatingly painful. So how do you treat neck pain? The answer depends on the cause, the location, and your body. Neck muscles can become strained from poor posture, a prior injury, or other serious conditions like osteoarthritis. Typically, neck pain is not the symptom of a bigger issue. When it comes to neck pain management, your chiropractor in Pequot Lakes can focus directly on your neck to gradually relieve your discomfort or pain. In this post, we will touch on the common causes of neck pain, treatments, prevention methods, and how the DMR method can help you find relief in light of the discomfort you feel due to your neck. If you’re ready to see a chiropractor, give Hopkins Health and Wellness Center call to schedule an appointment. We treat a variety of conditions for patients of all ages, and we’re here to help you find relief. Otherwise, continue reading to learn more. Is accompanied by a headache, numbness, weakness, or tingling. Spreads down the arms, back, and into your legs. Persists for several days without relief. Disease – Rheumatoid arthritis, meningitis, and cancer have all been shown to be a cause for neck pain. 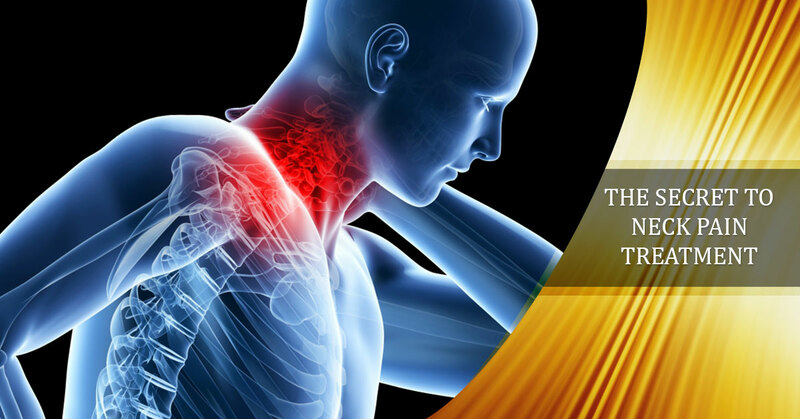 Injury – The result of whiplash due to an auto, sporting, or falling accident can result in neck pain. Nerve Compression – Bone spurs and bulging/herniated discs can compress nerves in the spinal cord, causing irritation, inflammation, and, eventually, pain. Muscle Strains – Excessive work hours hunched over a computer, tough manual labor, or extended periods of time using your neck can create fatigue, which ultimately leads to injury and then pain in your neck. Aging Joints – As the cushions between your vertebrae deteriorate, there’s a higher risk for neck pain, a condition called Osteoarthritis. Also, as your muscles weaken, your body relies on other structures in the body to withstand the weight of your head, leading to fatigue, irritation of nerves, and eventual injury. Take Breaks Frequently – Movement is the key to preventing many onset injuries, especially those related to the neck. Take a break to move, stretch, and relax your body from the constant tension you’ve been holding it in. Adjust Your Workspace – Find an ergonomic chair, desk, and mouse to help with posture at your desk. Consider upgrading your seat in your vehicle, if you drive around a lot for work. Finally, remember that you are the asset at work, so adjust your space to fit your needs. Avoid “Tucking” Your Phone – Use a headset or speaker instead of tucking your phone between your ear and shoulder while you multitask. The constant strain on your neck being “folded” over can cause issues later down the road. Quit Smoking – Smoking has been shown to increase risk of overall health issues, including neck pain. Foster Good Posture – How do you sit at your desk, in your car, or otherwise at work? Make sure you’re sitting up straight, your monitors are at eye-level, not below or above, and take short breaks/walks around your office to increase blood flow and allow for stretching. Avoid Over-Shoulder Carrying Straps – Heavy bags that you carry with a strap over the shoulder consistently can be a cause for neck pain. Sleep Properly – Most don’t’ consider this an issue, but if your mattress is too old, your pillow not the right fit, or you have other sleeping conditions, it can cause neck pain. What’s the secret to neck pain treatment? Based on years of clinical studies and research, it’s the Diagnose, Manage, and Rehabilitate Method (DMR); it’s shown outstanding results for patients of all ages with neck and back pain. As a non-surgical neck pain treatment, DMR offers a way to find fast, effective relief from pain without the dangers or cost of invasive surgeries. Your chiropractor in Pequot Lakes will help you find relief, even if you’ve tried massage therapy, physical therapy, or even surgery. If you’re ready to find neck pain relief, give the Hopkins Health and Wellness Center a call to schedule an appointment today!